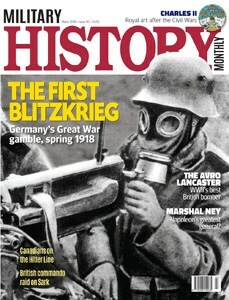 My article on Operation Basalt, the British commando raid on Sark, appears today in the March issue of Military History Monthly. 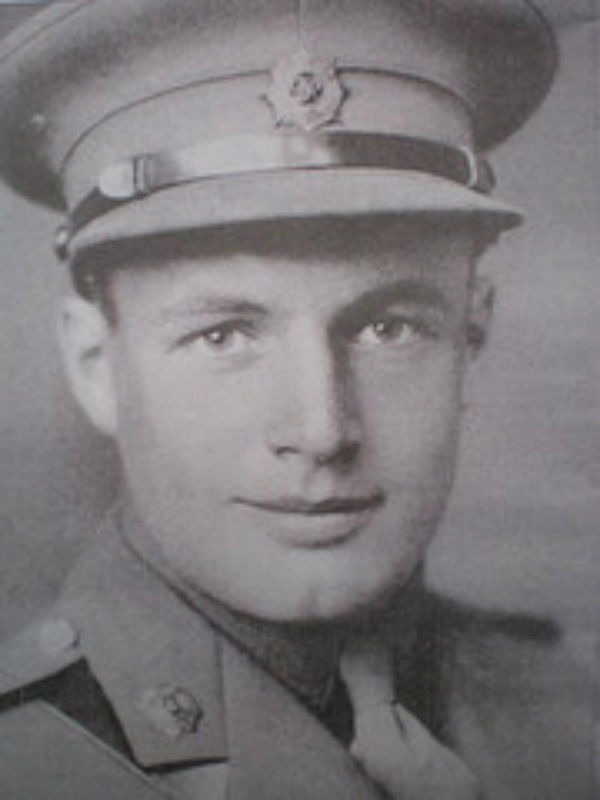 Major Geoffrey Appleyard was the commander of Operation Basalt. John Appleyard is his half-brother. Here are his remarks, delivered on 3 October 2017, at the unveiling of the memorial on Sark. If I may presume to speak on behalf of the families of those Commandos of the Small Scale Raiding Force who took part in Operation Basalt 75 years ago tonight, may I add my thanks to those of the Seigneur to you all for attending the unveiling of this memorial stone and the events which will follow later today and tomorrow. As the half-brother of Major Geoffrey Appleyard, one of the founders of the SSRF, and who planned and commanded the raid, I pay tribute to the bravery of those twelve men who landed here that night. They were some of the founding commandos, hand-picked for their skills and abilities and highly trained. They were fit, fearsome – at least outwardly – and able to react and adapt to the unknown. Winston Churchill took a personal interest in their operations. He described them as a “Hand of Steel which comes out from the sea and plucks German sentries from their posts”, gaining valuable intelligence, causing disruption and keeping German forces away from more valuable deployments. It is also fitting to pay tribute to the courage of the islanders of Sark, who endured almost 5 years of German occupation. Today it comes as a surprise to some people who do not realise that a part of the British Isles was occupied – perhaps this memorial will remind visitors of that fact, and help them think about the difficulties that the islanders faced during those long war years. They endured that time of hardship with bravery, stoicism and dignity. A few of those elders are still living in Sark and are here today. We salute you. Their mixed feelings about Operation Basalt are understandable – whilst showing that they were not forgotten, life became even more difficult as regulations were tightened, residents were interrogated, many were displaced and deported to German prison camps. In a spirit of reconciliation the Memorial also recognises those German soldiers who died that night at the hands of the raiders. Few of those men of the Small Scale Raiding Force who took part in Operation Basalt survived the war, and some, like my half-brother, have no grave having perished during operations without their bodies being found. So this stone serves as a memorial to them as well as commemorating the raid and its effects on Sark. It is an honour – a humbling one – to have taken part in this unveiling ceremony. May I thank wholeheartedly the committee of the Royal British Legion for raising this fitting and poignant memorial. I know that Geoffrey’s father – my father – would be deeply grateful, and I am certain that would echo the appreciation of the families of all the raiders. It has been three quarters of a century since a dozen or so British commandos landed on this island in the raid known as “Operation Basalt”. Tonight we honour their memory. But this is also a good opportunity to reflect upon not only what happened here on the night of 3-4 October 1942, but also upon how that story has been told. I want to talk this evening about how the Nazi German government began telling lies about this raid from the morning after, why those lies and were told and most important, I think, why they were believed. And I want to conclude with some reflections on the importance of historical memory. Read the rest of Eric Lee’s remarks at Stocks Hotel, Sark, 3 October 2017 here. 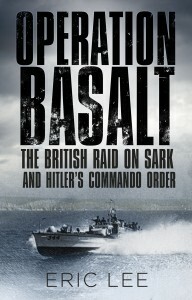 Next month (3-4 October) marks the 75th anniversary of Operation Basalt, the British commando raid on Sark. 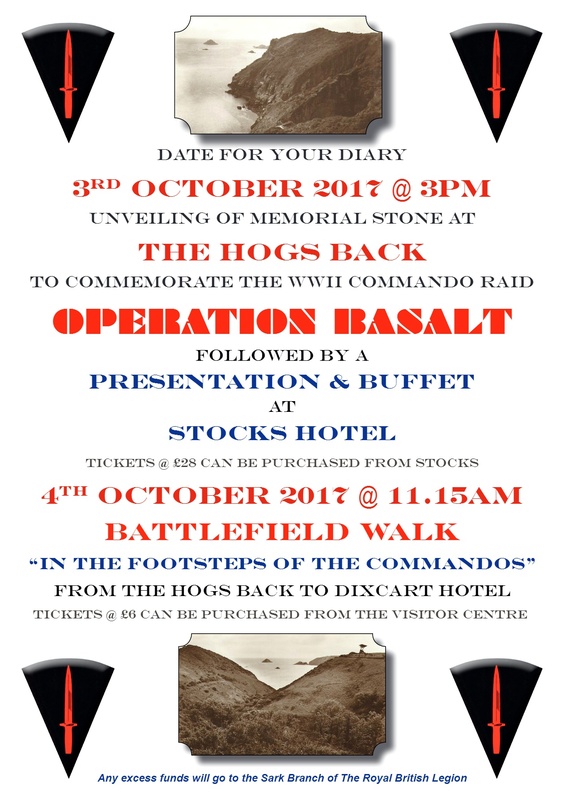 A memorial stone will be unveiled, there’ll be a dinner and talk (which I’ll deliver), and a guided walk of the commando route. 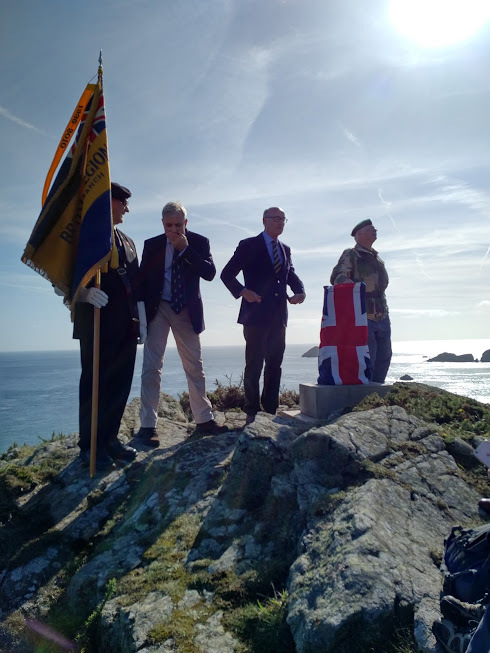 This is a wonderful initiative by the people of Sark, and I’m very pleased that some members of Major Geoffrey Appleyard’s family will be participating. Paperback edition now on sale! 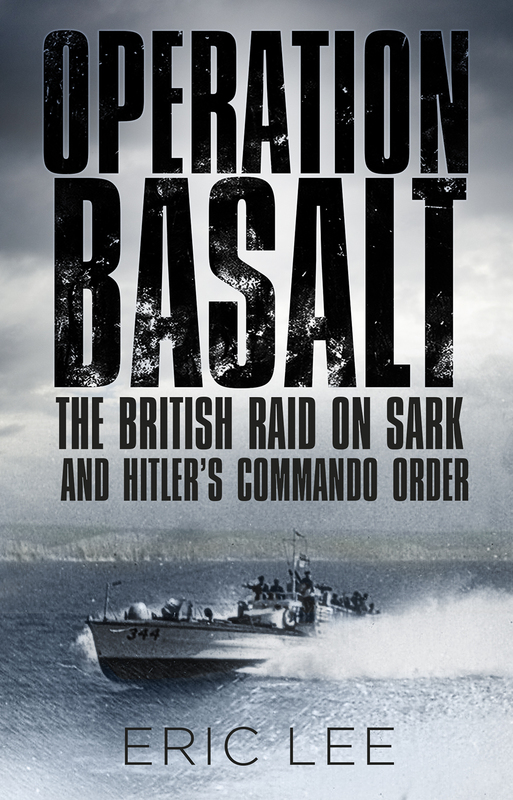 On 1 September, Operation Basalt became available in paperback. Order your copy from Foyles (free shipping in the UK) for just £12.99. More details on other bookshops coming soon. This book includes a brand new and highly detailed map of the area of operations. 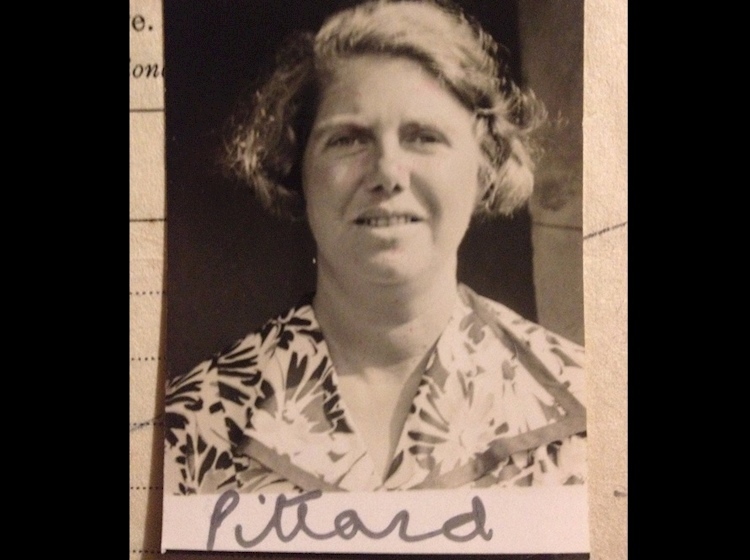 The History Press has just run this short article of mine about Mrs Pittard, the real heroine of Operation Basalt. Operation Basalt has just gotten a great review in a US newspaper. “Lee’s gripping, well-researched Operation Basalt shines a bright light on a tiny, yet important, corner of World War II,” writes Chris Patsilelis in the Tampa Bay Times. To read the whole review, click here. Major Geoffrey Appleyard, the commander of the force that landed on Sark in October 1942, died in a plane crash in July 1943 and his body was never found. Nevertheless, he is remembered by a memorial at the Bradley Baptist Churchyard which was created in 1946. That memorial has been rediscovered and is being fixed up by local volunteers, but they need our help. They have made available a book originally published by Appleyard’s father just after the war. It’s a very moving collection of memories including many letters from Major Appleyard to his family. They’re selling copies to help raise money to keep the memory of Geoffrey Appleyard alive — and they deserve our support. You can learn more and order your copy by clicking here.